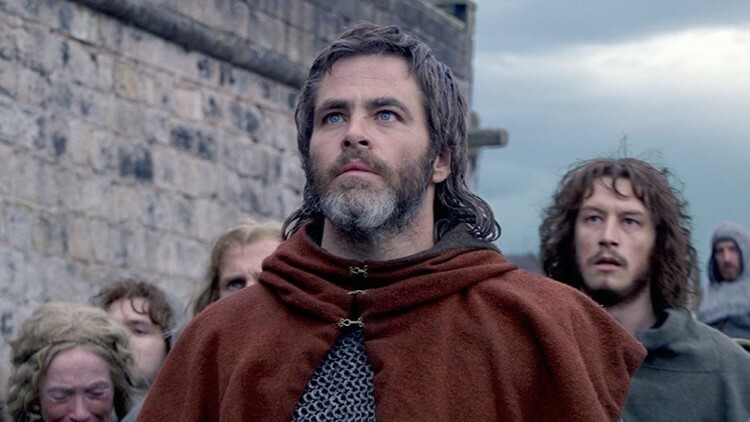 Chris Pine is the 'Outlaw King.' (Photo courtesy of TIFF). Chris Pine played the titled 'Outlaw King' in the 43rd Toronto International Film Festival's Opening Night film Thursday, but the singer known as Drake stole the show here in his hometown by not showing up. “I’m just excited to be part of a movie that continues conversation in this day and age,” Drake added in the brief video that came up after five members of the movie’s cast, including John David Washington (from “BlacKkKlansman”), had been introduced on stage. As written and directed by debut helmer Reynaldo Marcus Green, Monsters and Men tells the thoughtful, occasionally volatile and well-paced story of a Brooklyn community reacting to the police shooting of an unarmed black man. Green’s film, which opens in New York and L.A. on Sept. 28, earned a Special Jury Prize, at January’s Sundance Film Festival. And oh, by the way, the absence of Drake didn’t seem to diminish the enthusiasm of a raucous and overflowing crowd enjoying the Opening Night party outside the theater areas in the spacious Bell Towers. Then film producer Gillian Berry and shaggy-haired Scottish director David Mackenzie (“Young Adam,” “Hell or Water”) introduced Pine, Aaron Taylor-Johnson and nine other male cast members, including two wearing kilts. Mackenzie thanked them all for allowing him to put them through their rugged paces in his historical telling of how Robert the Bruce (Pine) turned the tables on the more powerful armies of the wicked King Edward I (Stephen Dillane) of England. Still much later in the evening -- and, if anybody’s counting heads -- the world premiere of Shane Black’s re-imagining of The Predator apparently went off without a hitch as part of TIFF’s legendary “Midnight Madness” program. My regrets -- for missing all the late-night fun -- go out to Black and stars Olivia Munn, Keegan-Michael Key and Thomas Jane, all of whom were on hand. It’s just that, with yours truly already having seen four movies yesterday (including first-time director Paul Dano’s intriguing family drama, Wildlife, and Paulo Sorrento’s lengthy if ever-energetic Loro), trying to watch a fifth one at midnight likely might have initiated a genuine kind of madness. Besides, The Predator opens everywhere Friday, so we’ll catch up with it back home, if not somewhere else at the festival before it all ends on Sept. 16. Please return here Monday for some post-weekend adventures from TIFF, likely pertaining to seeing stars and, of course, many more movies.